Frederick the Great was King of Prussia from 1740 to 1786 and was known as an enlightened despot. Born on January 24, 1712, in Berlin, he was the son of Frederick William I (1688–1740) and Sophia Dorothea (1687–1757), daughter of the future King George I of Hanover and Britain. Frederick William treated his artistically and linguistically gifted son abominably and quashed his emerging liberal tendencies; he had the boy trained in military matters from the age of six. While attempting a flight to his mother’s family in England to escape his father’s omnipresent control, Frederick was caught, arrested, and forced to watch the execution of his friend and accomplice Hans Hermann von Katte on November 6, 1730. Frederick was court-martialed, temporarily imprisoned, and banned from court. As a result, Frederick suffered a nervous breakdown but thereafter obeyed all his father’s commands. By this time the focus on military affairs had become an overpowering obsession that would eventually stand him in good stead. Frederick’s politically arranged marriage to Elizabeth of Brunswick-Bevern in 1733 failed. Although the couple remained married, they did not have a conventional marriage. Frederick refrained from having any other relationships with women. His father gave him Château Rheinsberg, near Berlin. There, Frederick was happy for the first time in his life and pursued the study of the arts and became enthralled with Enlightenment ideals. He wrote Anti-Machiave in 1739 and began corresponding with Voltaire, whom he greatly admired. He also studied the biographies and strategies of military leaders. Frederick succeeded to the throne upon Frederick William’s death on May 31, 1740. Prussia only had a population of about two million people, but the abundant treasury allowed Frederick the luxury to make significant changes. He never believed in the divine right of kings, but he could be a despot at times. He quickly realized that his far-flung territories—scattered across northern Germany, and often not contiguous—required modernization, and he implemented major reforms to benefit his people. Frederick made major improvements in the army, the infrastructure, the judicial system, finance, and the education system. He abolished torture and tolerated religious differences, which earned him the gratitude of his people. He had Sans-Souci palace built in the rococo style and lived there for six months every year. Under Frederick’s enlightened guidance, Berlin became the leading center for art, culture, and research. He wrote poetry and over 30 books and became the symbol of Prussian patriotism. Frederick’s outstanding military training provided him with excellent leadership skills that would be respected by friend and foe alike, though many reigning houses initially considered him insignificant. This assumption was to be permanently shattered by the beginning of the Seven Years’ War (1756–1763). Frederick’s primary goals were to expand Prussian influence through territorial expansion; his brilliant campaign strategies in various battles achieved this goal. During the War of the Austrian Succession (1740–1748), he annexed parts of Austrian Upper and Lower Silesia. At the same time he instituted more reforms at home: land was reclaimed from swamps for agricultural purposes, and he introduced the turnip and the potato into Prussian agriculture and encouraged German immigration. He placed only minor restrictions on domestic trade and used high protective tariffs to protect Prussia’s nascent industry. Canals were built, and the existing system of indirect taxation was reorganized. On the diplomatic front, Frederick made peace with Tsar Peter III of Russia in an alliance that made possible the three eventual partitions of Poland. The end result of his maneuverings was that by the conclusion of the Seven Years’ War, Prussia had become Europe’s leading power and retained all its conquests. As a result of his impressive battlefield record, Frederick was by this time recognized across Europe as a military genius. Astute diplomacy followed this period of fighting; Frederick instigated the Peace of Hubertusburg on February 15, 1763, and the War of the Bavarian Succession from 1778 to 1779, primarily to prevent Austria from annexing Bavaria. 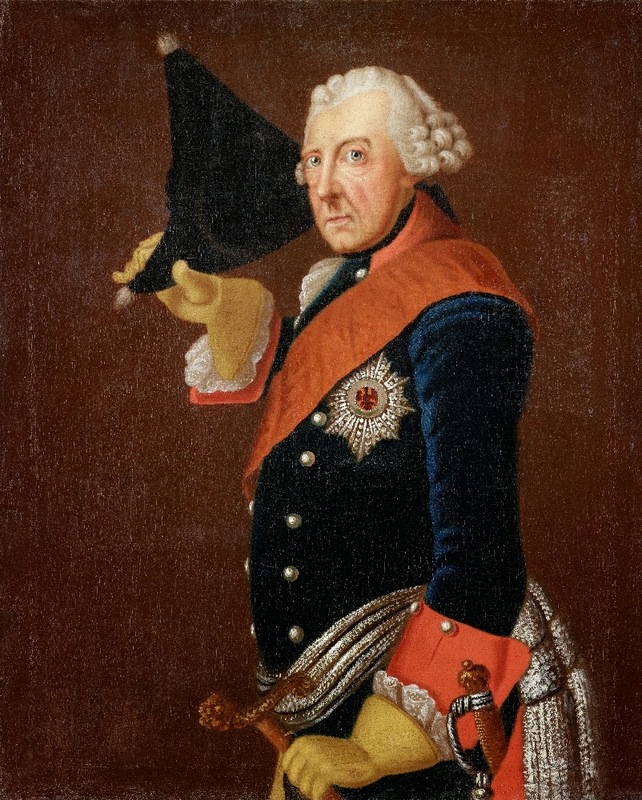 On June 23, 1785, he established the Fürstenbund, a league of rulers, to restrain the designs of Austrian emperor Joseph II. Frederick financially supported Russia in the Russo-Turkish War of 1768–1767. Frederick died on August 17, 1786, at Sans-Souci in Potsdam. Remembered as Frederick the Great, this imposing ruler genuinely cared for his subjects, who were themselves devoted to their country. He succeeded in making Prussia the most powerful country in The Holy Roman Empire: by the time he died, Frederick had six million subjects and Prussia’s size had increased by 75,000 square kilometers. FURTHER READING: Asprey, Robert B. Frederick the Great. New York: Ticknor & Fields, 1986; Duffy, Christopher. Frederick the Great: A Military Life. London: Routledge & Kegan Paul, 1985; Gaxotte, Pierre. Frederick II the Great. Translated by R. A. Bell. Westport, CT: Greenwood Press, 1975; Gooch, George P. Frederick II: King of Prussia, 1712–1786. Hamden, CT: Archon Books, 1962; Mitford, Nancy. Frederick the Great. London: Hamish Hamilton, 1970; Palmer, Alan W. Frederick the Great. London: Weidenfeld and Nicolson, 1974; Ritter, G. Frederick the Great: A Historical Profile. Translated by Peter Paret. Berkeley and Los Angeles: University of California Press, 1968.